Our garage door fitters have fished off another install. Here is an up and over Hormann Illkley with windows. Hormann offer a range of different door designs ranging from the simple vertical design, through to the more popular Georgian design. 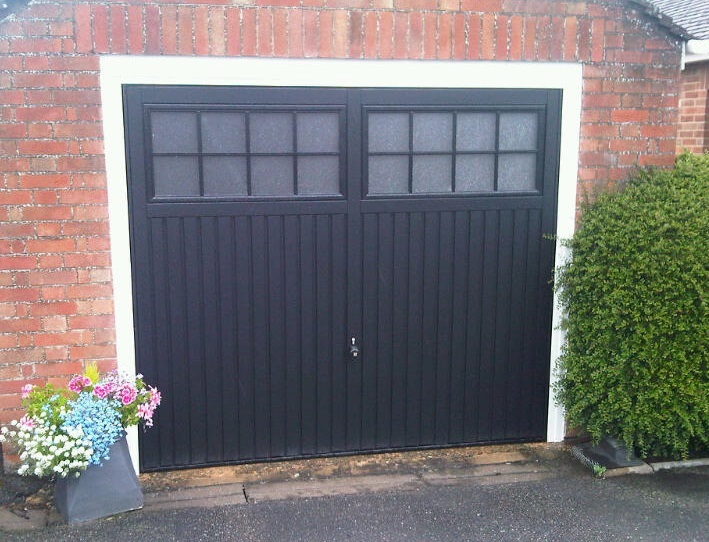 Finished in Jet Black, this doors now compliments the homes other fittings. 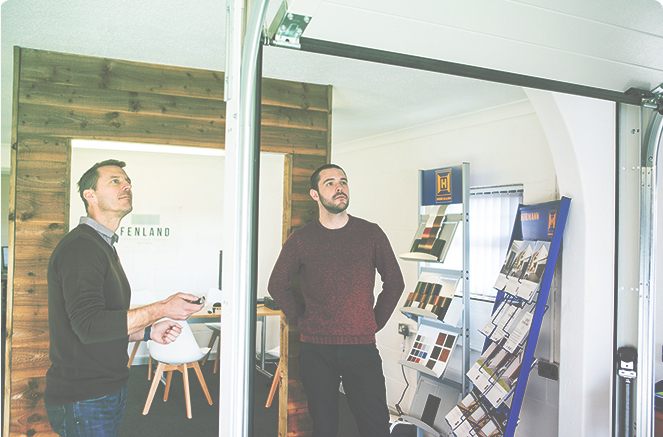 Why not call us today on 01366 382815, email on info@fenlandgaragedoors.co.uk or alternatively you could drop in and say hello at our Showroom which is based in the center of East Anglia in Downham Market, we cover all surrounding counties including Norfolk, Suffolk, Cambridgeshire and even parts of Lincolnshire.